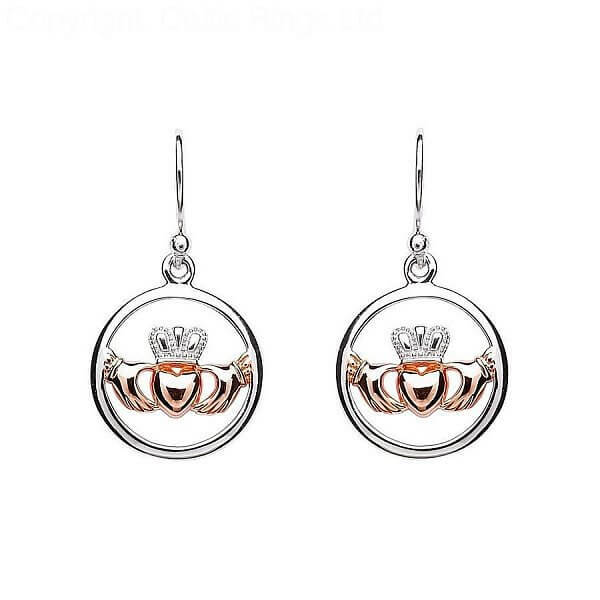 These beautiful dangle Claddagh Sterling silver earrings have a 14K rose gold plated center that really make them standout. 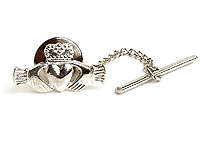 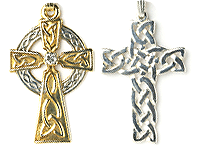 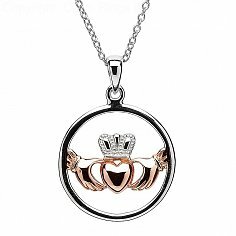 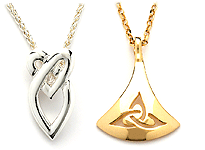 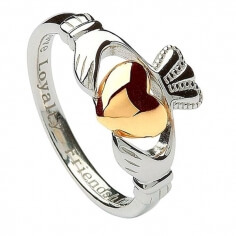 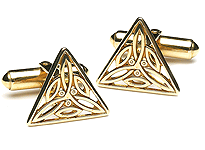 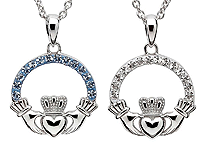 The Claddagh symbol represents love, loyalty and friendship. 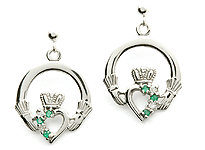 These earrings come in a secure, luxury presentation box - all handmade in Ireland.